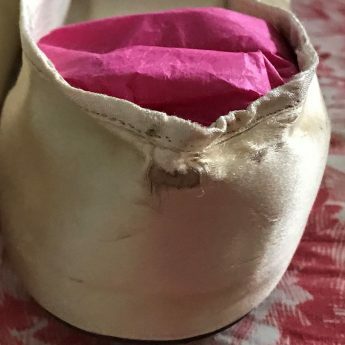 Georgian shoes are always intriguing not just as wonderful relics of fashion but also in the stories that they can evoke and this is especially true when it comes to wedding shoes. 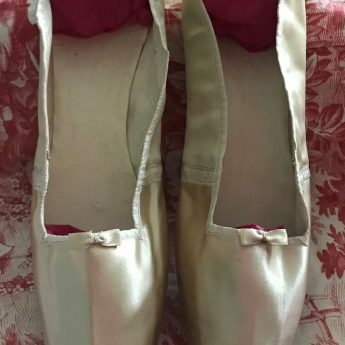 This charming pair of well-preserved slipper style wedding shoes are from the Regency period. 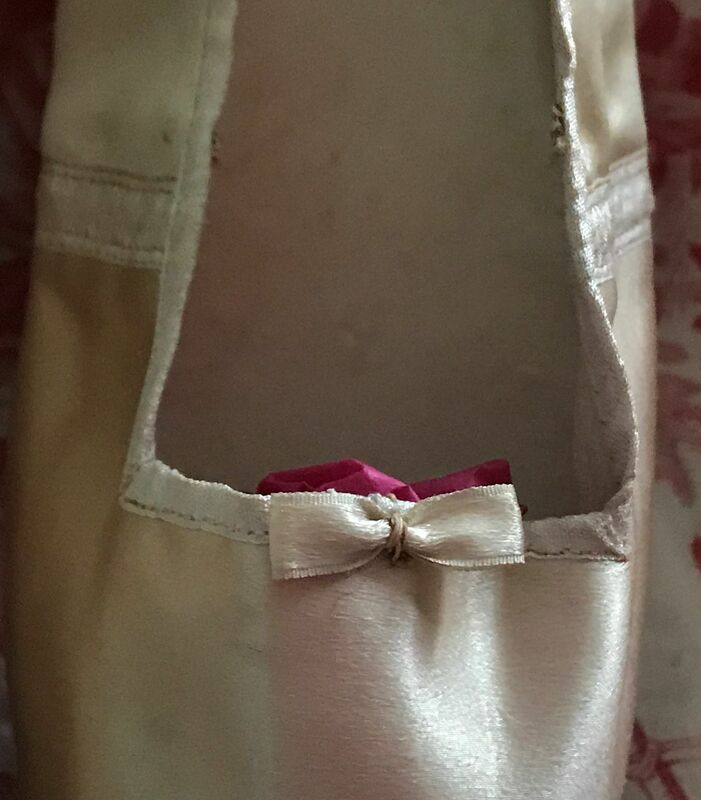 Hand-made, they have square toes and are made of ivory satin lined with kid leather and with leather soles. 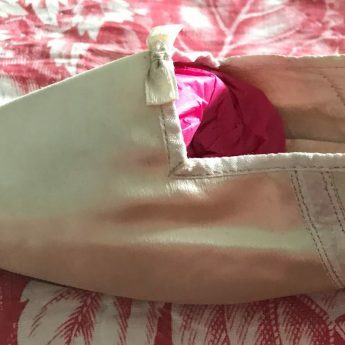 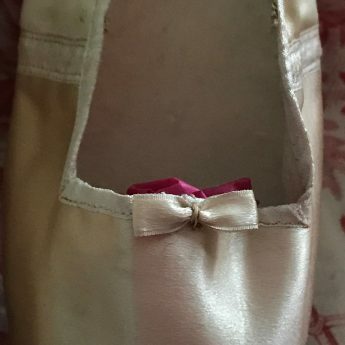 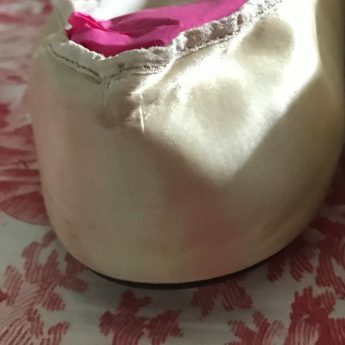 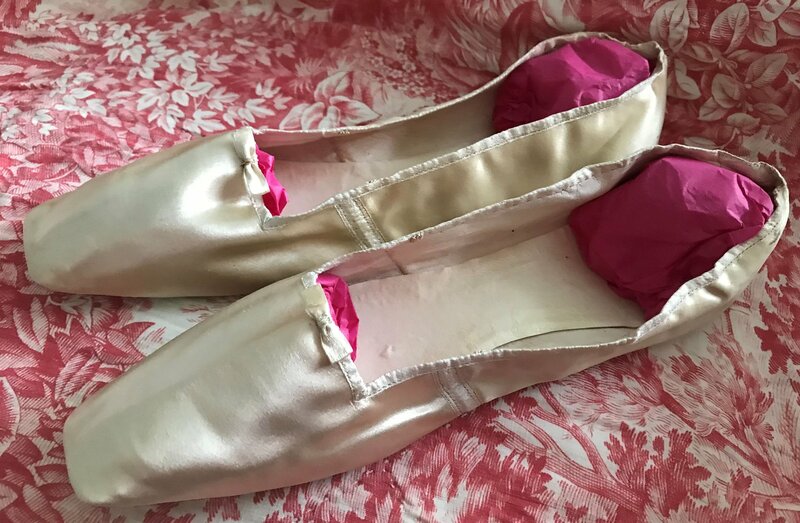 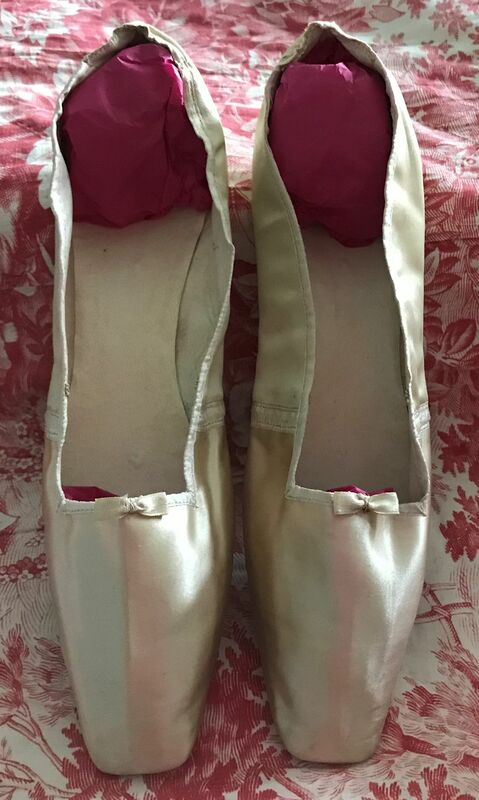 Each shoe is decorated with a tiny satin bow. 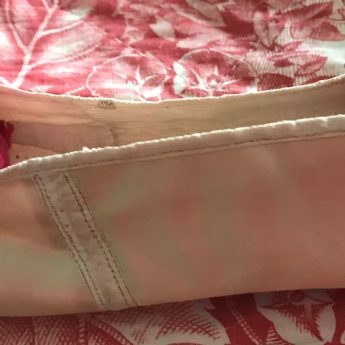 They would have had ribbon ties but these are missing. 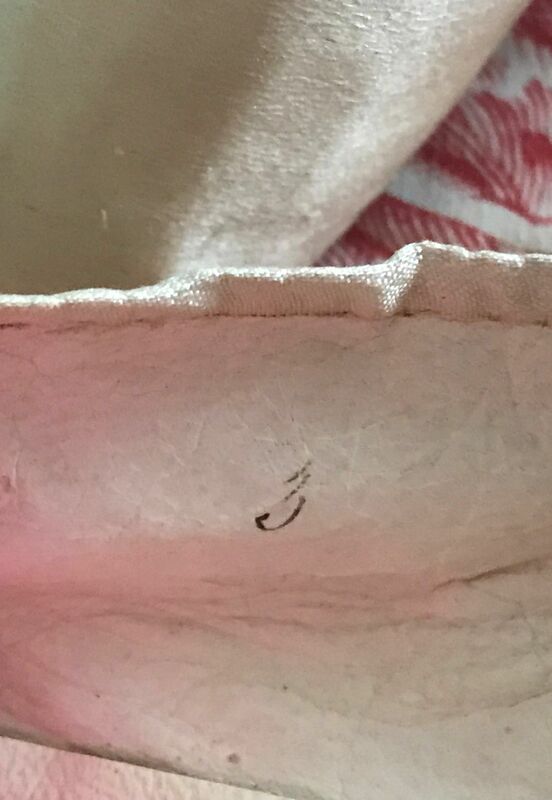 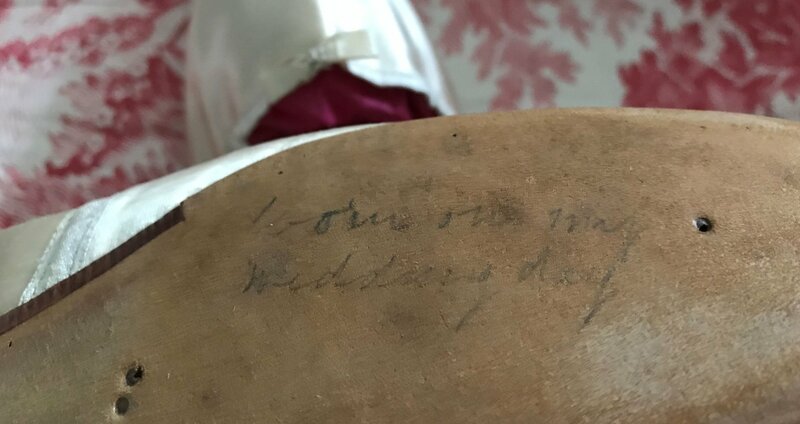 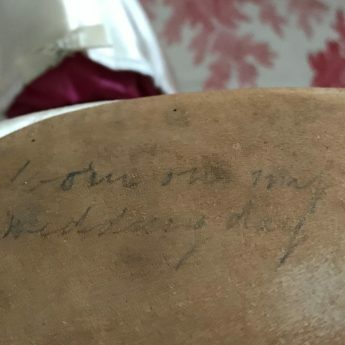 The number 3 is inscribed inside each shoe and on the sole of one, written in pencil, is the tantalising note ‘worn on my wedding day’. 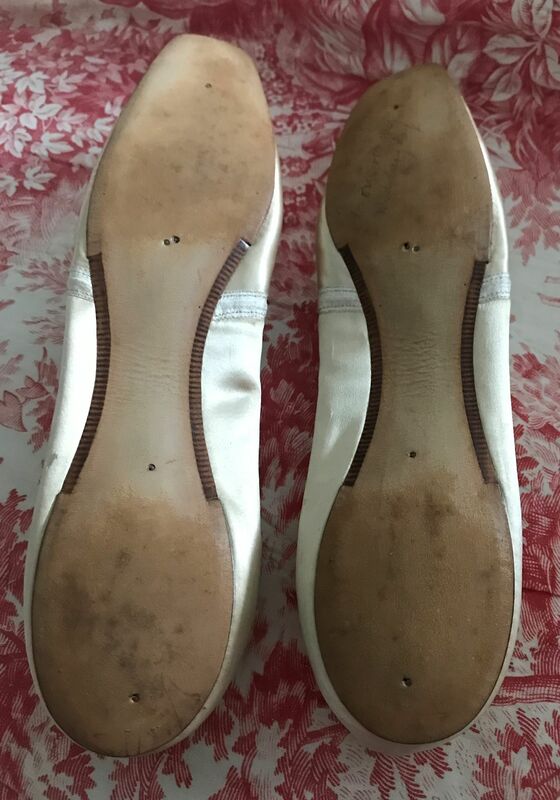 The shoes are in remarkable condition suggesting they were perhaps worn on that one special occasion only. 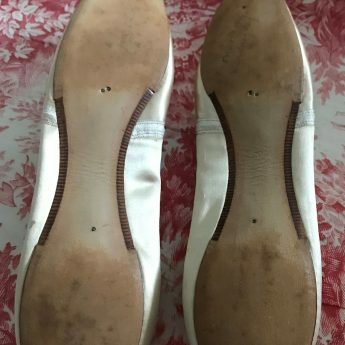 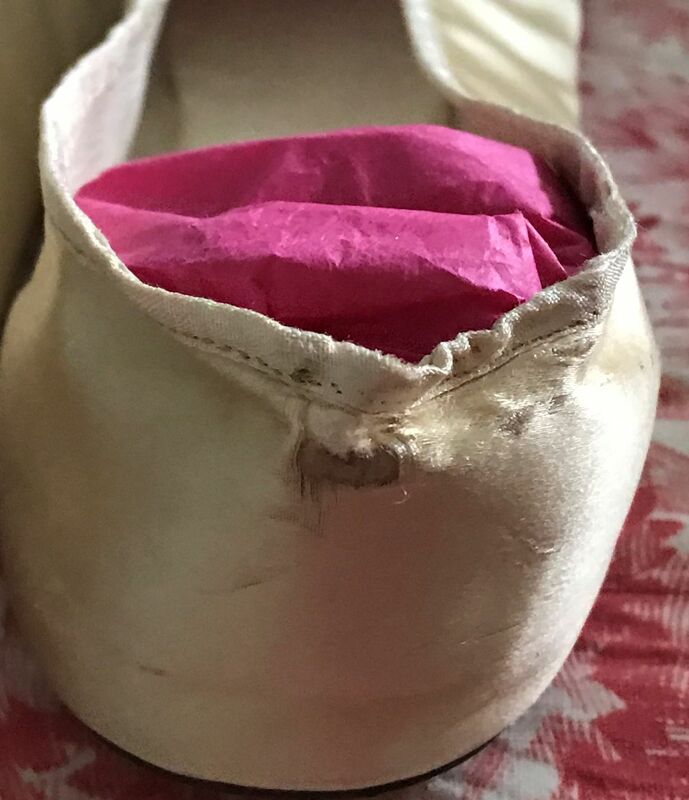 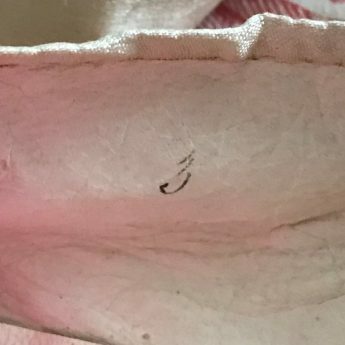 Apart from the missing ties, the only small damage is to the top of each heel where one shoe has a tiny split to the fabric and the other a small area of loss.